The program package CrysVUN++ is introduced. It is designed for the needs of crystal growers to have an efficient computer code for the simulation of the growth processes and equipment. Heat transfer by nonlinear anisotropic conduction and radiation as well as the analysis of thermoelastic stress are calculated for axisymmetric geometries. The problem of heater control is treated in an integrated software module. The use of CrysVUN++ is supported by an easy to handle graphical interface. 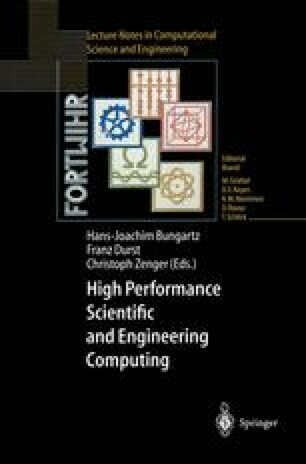 The support of this work through FORTWIHR the ‘Bavarian Consortium for High Performance Scientific Computing’ is thankfully acknowledged.